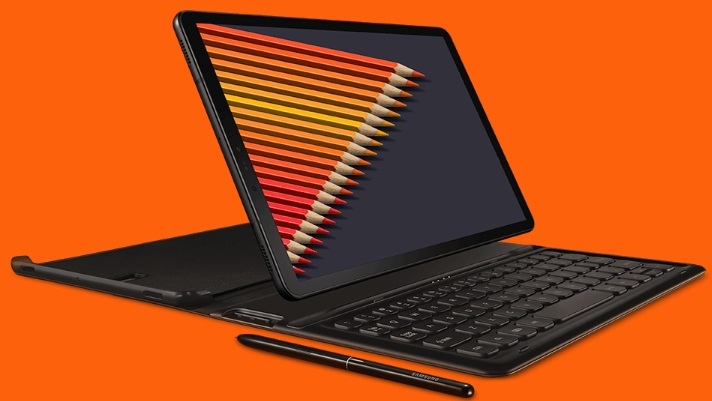 Samsung has launched Galaxy Tab S4 with most feature packed device and it comes with 2.35GHz + 1.9GHz clock speed. The Samsung brand has earlier released few Tab PC beside few popular smartphones including Galaxy Note9 and Galaxy Tab A 2018 recently. If you are interested to know Samsung Galaxy Tab S4 key features, technical specifications, price, review and other info then you may find some of them except first impression, hands-on review and comparison etc. The Tablet Pc is powered by Qualcomm MSM8998 processor with 2.35GHz + 1.9GHz clock speed also coupled with 4GB of RAM for better enhancement. Galaxy Tab S4 comes with two variants of internal storage viz. 64GB and 256GB ROM with expandable memory option up to 400GB. The gadget runs with the latest Android Oreo operating system. The device comes with outstanding 13 megapixel rear and 8 megapixel front camera with AMOLED display. You may find other specs and features detail below including price detail. This could be one of the best Tablet PC and best selling device possibly. You may get the best deal around as well. Tips: If you are searching for high-end specs and features Tablet PC for personal use or business usage like medical tab then this is one more choice at your table.